[/caption]During a laboratory experiment at Ohio State University, researchers were simulating the pressures and conditions necessary to form diamonds in the Earth’s mantle when they came across a surprise… A carbon “Super Earth” could exist. While endeavoring to understand how carbon might behave in other solar systems, they wondered if planets high in this element could be pressurized to the point of producing this valuable gemstone. Their findings point to the possibility that the Milky Way could indeed be home to stars where planets might consist of up to 50% diamond. The research team is headed by Wendy Panero, associate professor in the School of Earth Sciences at Ohio State, and doctoral student Cayman Unterborn. As part of their investigation they incorporated their findings from earlier experiments into a computer modeling simulation. This was then used to create scenarios where planets existed with a higher carbon content than Earth.. The result: “It’s possible for planets that are as big as fifteen times the mass of the Earth to be half made of diamond,” Unterborn said. He presented the study Tuesday at the American Geophysical Union meeting in San Francisco. At the center of our planet is an assumed molten iron core, overlaid with a mantle of silica-based minerals. This basic building block of Earth is what condensed from the materials in our solar cloud. 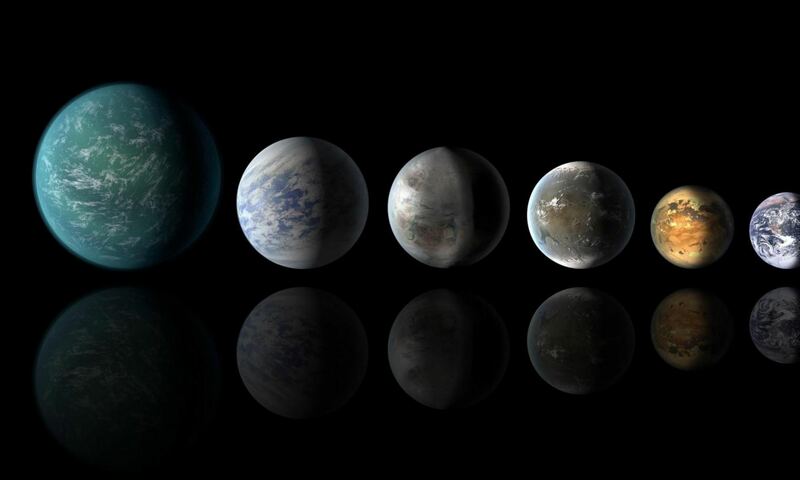 In an alternate situation, a planet could form in a carbon-rich environment, thereby having a different planet structure – and a different potential for life. (Fortunately for us, our molten interior provides geothermal energy!) On a diamond planet, the heat would dissipate quickly – leading to a frozen core. On this basis, a diamond planet would have no geothermal resources, lack plate tectonics and wouldn’t be able to support either an atmosphere or a magnetic field. “We think a diamond planet must be a very cold, dark place,” Panero said. How did they come up with their findings? Panero and former graduate student Jason Kabbes took a miniature sample of iron, carbon, and oxygen and subjected it to pressures of 65 gigapascals and temperatures of 2,400 Kelvin (close to 9.5 million pounds per square inch and 3,800 degrees Fahrenheit – conditions similar to the Earth’s deep interior). As they observed the experiment microscopically, they saw oxygen bonding with iron to create rust… but what was left turned to pure carbon and eventually formed diamond. This led them to wonder about planetary formation implications. “To date, more than five hundred planets have been discovered outside of our solar system, yet we know very little about their internal compositions,” said Unterborn, who is an astronomer by training. But don’t confuse their findings with recent, unrelated studies which involves the remnants of an expired star from a binary system. The OSU team’s finding simply suggest this type of planet could form in our galaxy, but how many or where they might be is still very open to interpretation. It’s a question that’s being investigated by Unterborn and Ohio State astronomer Jennifer Johnson. Original Story Source: Ohio State Research News.